Apps are created to make life easier across all aspects of life from banking to grocery shopping, but did you know there are apps out there that can help you make money as well? Check out these smartphone apps below to earn money while on the go. With the increasing popularity of smartphones, the growth in the smartphone apps industry is booming as well. Created to make life easier across all aspects of life from banking to grocery shopping, there are also apps available that can earn you extra money. 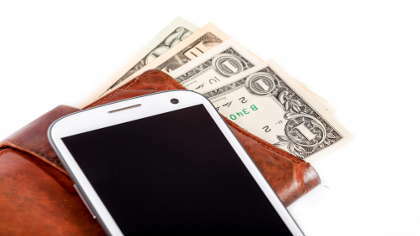 Check out these smartphone apps below to earn cash no matter where you are. Field Agent uses people across the country, working as agents, to complete simple tasks while on the go. Clients use Field Agent by submitting tasks which usually consist of information a company or individual needs. Agents find tasks based on their location, complete them, and get paid. Tasks can include taking photos of in-store products, scanning barcodes of items, gathering in-store video, verifying prices of a product, or completing field surveys. Get started by downloading the Field Agent app and completing a profile, and you can begin looking for tasks near you right away. Ibotta works to pay consumers in a different way by paying for pictures of receipts of items you already buy. The digital version of sending in rebates, Ibotta pays rebates electronically without you needing to cut off UPC codes and mail them in. Start by signing up for a free account. Once signed in, check the rebates section to see what items are regulars on your shopping list. The idea is to use the app for items you are already buying that are currently offering rebates through Ibotta, take a picture of the receipt, and earn cash. ScreenPay offers a way for smartphone users to get paid for doing nothing at all except using their phone. The app works by delivering ads and offers to your Android phone lock screen. Based on the topics you choose, offers and promotions will appear on your phone. Ignore them or choose to unlock the screen and view the promotion. Receive $1 for signing up and $3 a month after that with a $7 cash out amount paid directly through Paypal. Shopkick works by offering shoppers incentives to do their shopping in specific stores as well as buy specific products. Shoppers earn kickbucks for simply visiting a store, and once inside may be able to earn more by buying certain products, scanning barcodes, or you can simply take advantage of a current promotion. All those kickbucks add up and while you don't get paid in cash, you do earn rewards to be used towards gift cards from a wide variety of stores. EasyShift works in a similar way to Field Agent, offering tasks for cash. Use the app to find tasks near you in need of completion. This can include taking photos, checking prices, or verifying a product is in stock. Once completed, tasks are approved and money is deposited in your Paypal account within 48 hours. Make extra cash while running errands or use some free time to complete tasks near you. While none of these apps will replace your day job, they may earn you some extra spending money every month with very little effort. Try some money earning apps to find which ones are a good fit for your lifestyle.